Pine trees do not have flowers. What structure do they have that servers the same purpose? No. 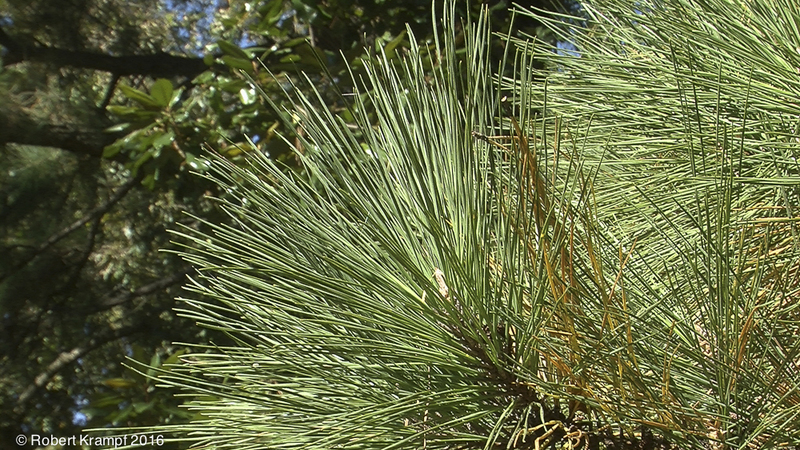 Pine needles are a kind of leaf. They are not used for reproduction. Yes! Pine cones produce pollen and seeds, just as flowers do in flowering plants. No. Fruit are used for dispersing seeds, not for pollination. No. Pine tree buds produce needles. They are not involved in reproduction. SC.4.L.16.1 Identify processes of sexual reproduction in flowering plants, including pollination, fertilization (seed production), seed dispersal, and germination.